OTTAWA - The Harper government spent millions of dollars last fall on wireless competition ads that left annoyed consumers wondering what the Conservatives intended to do about the issue. "The campaign succeeded in raising consciousness but didn't communicate the tangible actions that are being considered by our government," said a focus-group report prepared for Industry Canada by the market research firm TNS Canada. The $9-million radio, newspaper and television campaign raised the ire of the heavily regulated telecommunications industry, which called the ads an unprecedented government attack on a major industrial sector. 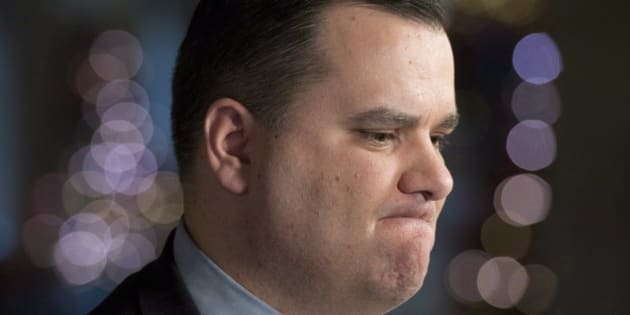 A spokesman for Industry Minister James Moore said Tuesday the government feels that "overall, the report is positive." "Canada's largest wireless companies spent millions this past summer mischaracterizing the government's wireless policies," Jake Enright said in an email. "As a government, we have an obligation to communicate the facts about our policies. These ads provide those facts." Trouble is, the government ads aired last fall were essentially policy free, according to focus-group assessments. Under federal advertising rules, the government must test all its ad campaigns with focus groups and publicly post the results. The TNS Canada study cost just under $45,000 and ran the campaign past groups in Chiliwack, B.C., Mississauga, Ont., and Montreal. It found the advertising appeared to raise blood pressure without raising policy solutions. "Generally speaking, study participants in all cities alike were more receptive to the claim reminding Canadians that they pay some of the highest wireless fees in the world," said the "key findings." "Although the ad is thought-provoking, the objective of more choice, lower prices and better service is not totally clear." The reactions of focus-group respondents were more to the point. "Makes me angry to know we've been paying so much for so long," one was quoted in the TNS Canada report. "Not clear as to what exactly they would like us to support," said another. "So I need to know what they are going to do about it," said one. "This is more a point of view than a policy," another participant observed. The Harper government has long been accused of playing fast and loose with government advertising that promotes the Conservative brand at public expense while failing to convey useable program, policy or public service information. More than $100 million has been spent on feel-good Economic Action Plan ads since 2009, with many millions more for ads pitching the Conservative "Responsible Resource Development" slogan and even ads promoting a job-training program last year that did not exist at the time. Bernard Lord, the president and CEO of the Canadian Wireless Telecommunications Association, said in an interview Tuesday the autumn wireless ad campaign clearly rubbed many the wrong way. "I'm not surprised focus groups would have identified that problem because these people are taxpayers and I don't think anybody sends money to Ottawa for the federal government to run ads to attack an industry that produces so much," said Lord. "There's ways for governments to use tax dollars that are very important. I don't think this is one of them." Lord said a new round of Industry Canada ads currently airing are a big improvement. "The tone of the new wave of ads, and the information in the new wave of ads, is very different than what was aired in the fall," he said. Putting consumers first was a key theme of last fall's government speech from the throne, although concrete policy actions have been harder to come by. A wireless spectrum auction last month raised a record $5.27 billion for federal coffers but failed to immediately entice a fourth major player into the Canadian market. Quebecor Inc., confirmed this week that it is in no hurry to expand its wireless network beyond Quebec, despite buying spectrum in Ontario, Alberta and B.C. in last month's auction. But Industry Canada maintains its efforts are spurring more competition in the wireless sector. "From the 700 MHz spectrum auction to tower sharing and capping roaming costs, we are taking concrete actions to put consumers first," Enright said. Note to readers: This is a corrected story. A previous version incorrectly stated the Big Three telecos raised rates this week in lock step.